Due to a faster paced, interconnected business world, it has become vital for companies to communicate and share knowledge instantly. Many companies are searching for collaboration tools that allow their globally dispersed employees to connect and work together more efficiently. With the advancement of social networks, social collaboration is rising in popularity in the workforce. Enterprise collaboration is beginning to have a large impact on employee productivity and collaboration. Initially thought to be a distraction, these networks can now be found in many companies worldwide. Social collaboration brings forth the potential for employees to share information, and to attract talent. Regardless of these benefits, many business leaders are still hesitant to adopt social tools due to misconceptions or lack of knowledge. Some of the concerns include security, risk of deferring enterprise social adoption, and negative feedback from various business leaders. A few organizations see collaboration as a distraction to “real work,” but the reality is, many companies have already experienced its value in making teams more effective. Below are 5 myths that stop businesses from embracing the many benefits that social enterprise collaboration tools can bring to their organization. Business leaders may initially think that a “social network,” involves their employees spending their days fooling around, “friending” people, and being distracted. This is due to the connotation we have with the word “social”. It’s just a tool to spend more time on… time that we don’t have. In reality, enterprise social collaboration tools are for engaging employees to solve ­business problems, share information, and improve results. They are simply the next phase in corporate collaboration and communication. They won’t be used in the same manner as Facebook and Twitter, as they focus on business activities and solving business problems. Social collaboration has changed the way people connect and interact, and can have a big impact on worker productivity and collaboration. 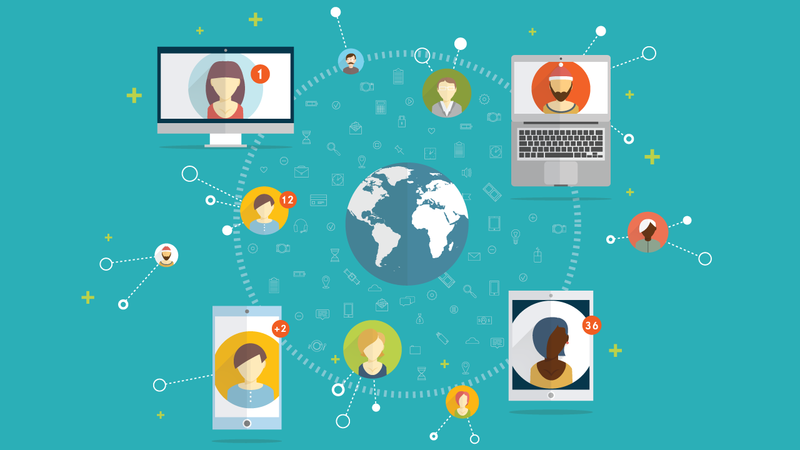 Social collaboration is geared around making people more rather than less effective. Most people waste time because they are answering neverending emails and sitting through long meetings that rarely have a strong agenda. With social collaboration, you are able to send an idea to multiple people, gather feedback, and quickly find an answer to a pressing work question. The tool has the ability to transform the way business is done among companies. Social collaboration allows for group discussion without disrupting everyone’s workday. Social tools actually save time, rather than wasting it. A common complaint is that social tools are not secure, yet there is no existing tool that guarantees absolute security. Nothing can stop an employee from sharing information found through -emails and instant messages. Company communications can be compromised, and sensitive files can be easily lost or stolen. The security of any product depends on how the company implements it and what the product has to offer. Most social collaboration tools live internally within an organization’s IT infrastructure, offering maximum security. Data is encrypted and always travels over a secure connection. Redbooth uses SSL secure 256-bit encryption, just like banks use. The social tool is hosted in a secure, fully redundant data center with guaranteed security certifications. Most products provide extensive control over communications and file sharing, allowing access to information only to those with appropriate permissions. Younger generations might be more open to the idea of adopting something marketed as a “corporate Facebook,” while older generations might hesitate. When companies look at enterprise social networking, a typical answer is, “young people have grown up using social tools, but older workers won’t understand it and will stick to using emails and legacy systems.” Although most users of social tools are between 15-35, some of the busiest Facebook are over 55. Social tools are well setup to accommodate both young and old. Business leaders sometimes underestimate the eagerness of the older generation to be up to date with technology. I wouldn’t worry about older users not adapting well to an enterprise social network. You may be surprised by how fast they will pick it up. Businesses approached by the idea of enterprise collaboration tend to argue that they don’t need it. They believe that adopting enterprise collaboration will not affect the business in any way. Technically, no company truly “needs” any software, but there are many programs that make a huge difference in company productivity. A lot of debate comes down to whether workers have the time to share their thoughts and knowledge in order to help others. People are busy and don’t have time for another software, but that doesn’t deny the usefulness of a social tool. Having constant knowledge of what people and groups are doing and working on, what they need help in, and who are the key colleagues that can help on these certain topics, can be extremely useful. Improving how employees communicate and collaborate between one another will maximize the talent base of the organization, and improve productivity. Myths and assumptions won’t decide the success of your company’s enterprise collaboration. By keeping an open mind, focusing on strong productivity advantages, and considering how these tools might help meet the business’ needs, you will be surprised to see how social collaboration aids in the success of the company.